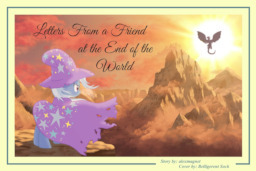 Twilight receives a letter from Trixie one day, but it raises more questions than it answers. Twilight discovers a book hidden deep within Canterlot Library that reveals some of Celestia's more Caligula-esque... eccentricities. 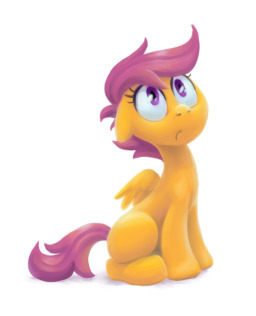 Scootaloo has some extraordinarily bad luck, which is unfortunate for her since it means she's going to die... a lot. 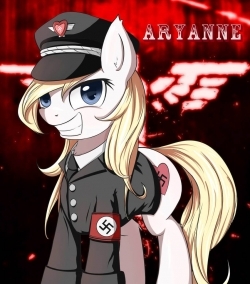 When Aryanne, Ponyville's resident Nazi sympathizer/unicorn supremacist (who is an earth pony), takes over as substitute teacher for Cheerilee's class, she discovers the ponies aren't quite as excited about eugenics as she is. 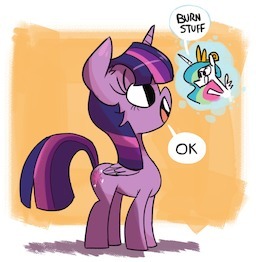 Celestia gives Twilight a simple request: start a controlled forest fire. 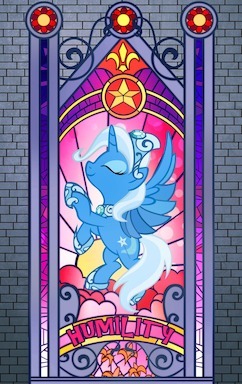 This quickly spirals out of control until all of Equestria is on fire. 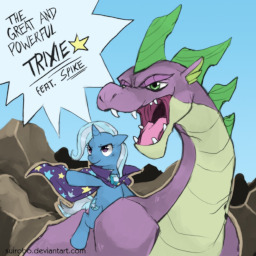 Trixie attempts to overthrow Celestia. 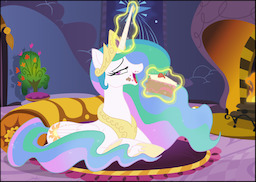 Celestia attempts to not die laughing. Applejack becomes a princess... of eyebrow waggles. It takes less than 24 hours before Ponyville is literally on fire. 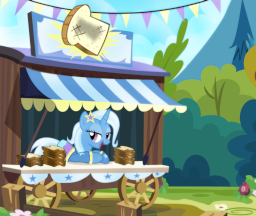 Trixie opens up a shop selling magical items, much to the annoyance of Twilight who has the bad luck of being located across the street. Twilight banishes everypony to the moon. 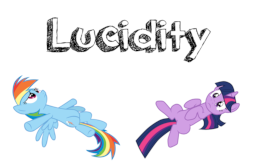 Upon discovering an ancient artifact, Rainbow Dash and Twilight unwittingly unleash a curse upon Ponyville that causes everyone to speak in puns. 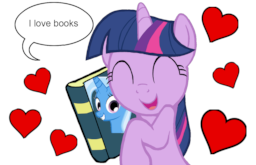 Twilight sees it as divine pun-ishment, and it drives her nuts. 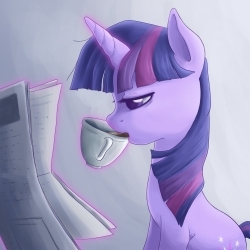 Twilight’s article on the importance of checklists finally gets published in the local newspaper. After telling everyone in town, she quickly discovers that no one cares. 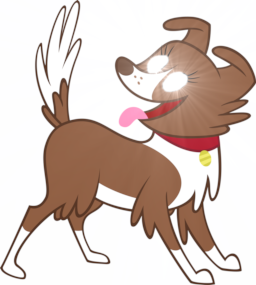 Winona commits ritual suicide... and then attains enlightenment. Rainbow Dash has always wondered what it'd be like to do magic, like a unicorn, but seeing as she's not one, she's never had the chance. 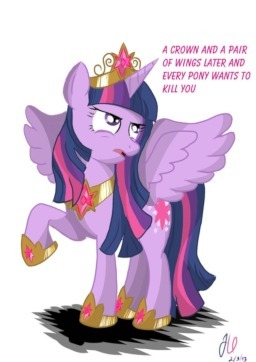 Luckily for her, Twilight has the perfect solution. Lucid dreaming.